Connexion Pointe® | Video Interviewing for the World. And You. Easy, affordable video interviewing for recruiters and candidates is here! Welcome to the new standard in cloud-based video screening. Connexion Pointe® is a cloud-based video screening tool for recruiters that also features a self-service video interviewing tool for candidates. Our platform has two coordinated applications: Pointe Savant® is for recruiters, and Pointe Profile® is for candidates. Video Interviewing for the World. And You. 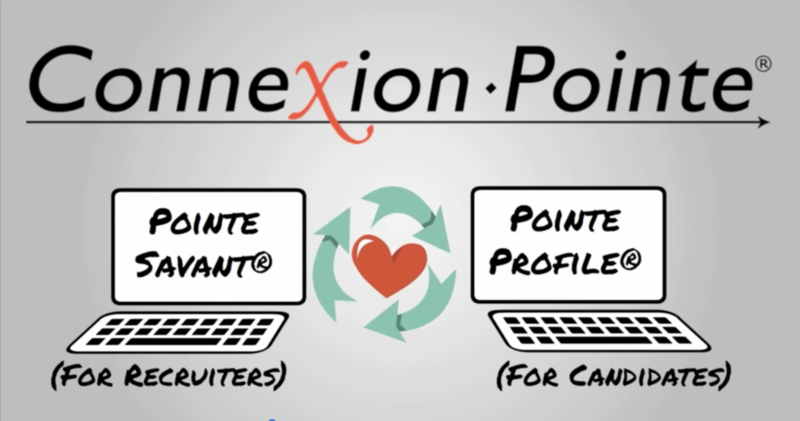 Connexion Pointe® gets recruiters and candidates in sync with our coordinated video interviewing tools. Recruiters can deploy online video interviews in just a few clicks while accepting self-service interviews created by candidates to save time and money. Since candidates can submit their resume with an excellent video interview already done, the screening process is accelerated for everyone! Pointe Savant® is our application for recruiters and organizations. In addition to asynchronous video screening, Pointe Savant® features tools for candidate evaluation, asking follow-up questions, and managing submissions by Pointe Profile® users between recruiting cycles. 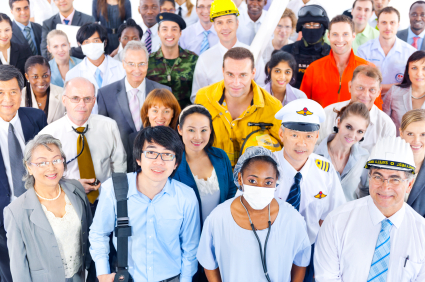 For many organizations, recruiting and screening are primarily outreach activities. With Pointe Savant® and Bring Your Own Interview, inbound candidate solicitations can be effectively leveraged against traditional screening costs. Pointe Profile® is our self-service interviewing tool for candidates. In addition to sharing video interviews with Pointe Savant® users, Pointe Profile® features self-development tools with an emphasis on behavioral interviewing, delivering additional supporting screening-related video content to recruiters, and responding to follow-up questions. Pointe Profile® offers candidates the best solution for standing out: An excellent resume and with links to supporting video content! Why Should Recruiters and Candidates Use It? Everyone knows great organizations attract top talent. Pointe Savant® unlocks the equity in your brand value with our exclusive Bring Your Own Interview™ (BYOI) feature. Candidates can use our self-service video interviewing tool to record screening interviews meeting or exceeding many recruiters’ best practices. Pointe Savant® provides employers the option to accept, evaluate and store these interviews while providing a clear pathway to verifying the information presented. The result? Dramatically accelerated screening and reduced costs for everyone! BYOI: How can interviews be useful if recruiters are not picking the questions? Here's an example! 3. It provides an easy-to-use automated framework for expanding your candidate pool to include similar job titles. For this example, let’s use the job title of Registered Nurse. In the photo above, the Pointe Savant® user (on the left) is a hospital/recruiter looking to hire a Registered Nurse. The Pointe Profile® user (on the right) is a Registered Nurse looking for a position. They both log in to their respective applications and begin creating a screening interview for the Registered Nurse position. Same starting point: everyone answers the same introductory questions. The first 2 questions of the interview are the same, regardless of which application created the interview. These questions can not be re-ordered, removed, revised or replaced. Each question offers every candidate the same 2-minute opportunity to introduce themselves and lay claim to their desired position while giving hiring managers complete control over how much of the interview they watch. After selecting a job title, both of our interview builders present the same list of Competencies/Themes to each user. Each of these Competencies/Themes defines a job-relevant “soft-skill” for the position. Let’s use “Decision Making” for our example. Even if the Pointe Savant® user chooses question #2 in this category, but the Pointe Profile® chooses question #1, both questions are job-related and directly relevant to an important soft skill (Decision Making) for the position. The Pointe Savant® users’ time is not wasted, and they can still ask their preferred questions as a follow-up using Pointe AskMe™. An easy-to-use automated framework for expanding your candidate pool. In addition to matching Competency/Themes, Pointe Savant® Screening Event Builder™ features an easy-to-use tool that allows expanding the candidate pool by accepting similar job titles from other SOC categories. (Using this feature is easy, and there is a full step-by-step tutorial in our user’s guide). Different job titles may have similar competencies/themes. Even though some Pointe Profile® users in the expanded candidate pool will have different job titles, the overall Competencies/Themes for screening are remarkably similar. This similarity gives Pointe Profile® users the ability to be considered for multiple positions with the same interview while hiring managers can increase their candidate pool without changing the focus of their screening event. For many recruiters, screening questions become more “organizationally distinct” as candidates advance through screening processes. The Connexion Pointe® platform natively supports this practice. Everybody is on the same page before making the first contact. Full Contact at First Contact™. Recruiters want to know as much as possible before engaging a candidate. Connexion Pointe® makes it easy! At Connexion Pointe®, we combine the power of cloud and video with 8 elements of commonly sought-after screening information. These 8 elements offer candidates and recruiters 360 degrees of the right information at first contact. Our candidate self-service feature adds immediate value to your screening strategy by providing a pathway for high-quality interviewing between screening cycles. Every relationship starts with an exchange of basic info. Name, address, phone number, email address, LinkedIn address, social media contact (optional), position sought, and a photo to get things rolling. 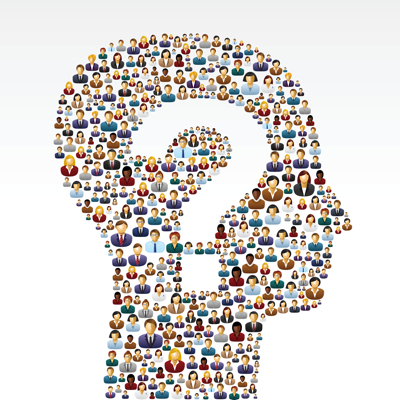 Many screening questions are universal, so why wait for someone to ask them? 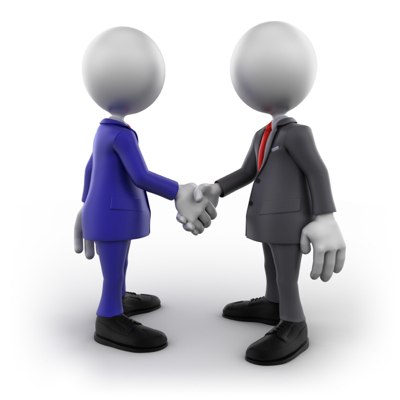 Now candidates can submit a high-quality screening interview at first contact. With our interview builder applications, recruiters and candidates can deploy asynchronous video interviews for virtually any purpose in just a few clicks. Use our guide or build a custom interview completely from scratch! Experience is where candidates present previous work experience in the form of a 1 to 2-minute video. 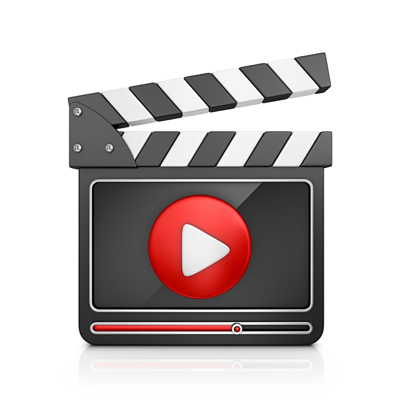 This video playlist is available to recruiters that allow candidates to submit interviews. Content creation is easy with free and easy-to-use tools currently available on most Windows® and Mac® computers. Narrated slideshows created in PowerPoint® (Windows) or Keynote® (Mac) can be exported as video files and presented here too. Candidates can choose their tools and recruiters reap the benefits! The Referrals tab is where video testimonials of coworkers, bosses, networking contacts and clients come to life. This video playlist is available to recruiters that allow candidates to submit interviews. Recommendation letters are great, but getting a testimonial straight from the source is a lot more compelling! Pointe Profile® users can access our in-depth tutorials on how to modernize this traditional element of the resume and screening process! The Insight playlist is where candidates present unique professional characteristics for consideration in a 1 to 2-minute video. This information is available to recruiters that allow candidates to submit interviews. Someone might be an accountant by day and an experienced helicopter pilot on the weekends. You might be a project manager at Company X and a fantastic photographer in your spare time. You might even be a Grammy Award-Winning musician who invented an innovative online video interviewing solution. Insight offers a window into candidates’ other great talents while keeping it professional and relevant. The shortcomings of the resumè are well-documented. Nonetheless, this device remains the primary vehicle for initiating the screening process. Connexion Pointe® puts the resume in its proper place – as the delivery mechanism for a much bigger candidate picture. 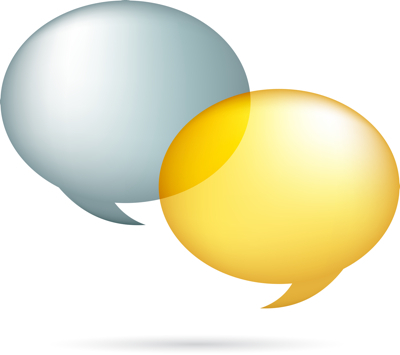 Pointe AskMe™ is our built-in text-based email communication system. If a recruiter wants to follow up with a few more questions, Pointe AskMe™ is ready. The recruiter types their question and selects a deadline for the response. 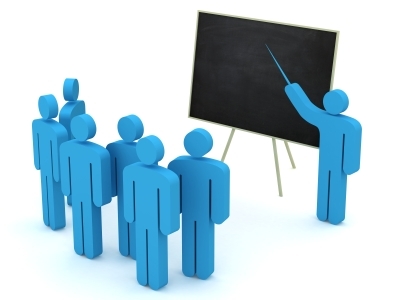 Candidates can respond and share frequently asked questions to speed things along in future screenings. Pointe AskMe™ creates several convenient advantages, but it also facilitates excellent record keeping for recruiters and candidates alike. Follow Up with a Click. Pointe AskMe™ is our response to slow and inefficient follow-up screening. Pointe AskMe™ is a text-based communication system built into our applications. Recruiters can type a follow-up question, select a response deadline and click send. The candidate is notified and can immediately respond within the allotted time. Candidates can display previous Pointe AskMe™ questions in their Pointe Profile® submissions, saving time and effort in their future screenings. Stop juggling email threads on every candidate! Pointe AskMe™ keeps all of your candidate correspondence organized with your teams’ notes, evaluations, and files! At its core, Connexion Pointe® is a digital video interviewing system. Our Screening Event Builder™ and Profile Interview Builder™ applications give almost anyone the ability to quickly create quality job-related screening interviews that meet or exceed the best practices of many recruiters. Using our guide, creating a structured behavioral interview or a custom interview entirely from scratch is as simple as drag-and-drop. Learn Here For Free. Use Everywhere For Life. Video interviewing is here to stay, but comprehensive candidate training for this new mandatory skill hasn’t even arrived. Until now. Connexion Pointe® University (aka CXP-U) and our online user guides offer step-by-step guidance on creating excellent screening interviews supported by well-organized and relevant video content. We cover many popular approaches to answering interview questions, interview types, networking with video, and how to create excellent content using tools that you probably already have. To help you master these new skills, you can even practice in front of the camera with our complimentary reusable practice interview. Harness the Power of Video. Video is a “must have” technology. Whether it’s individual self-expression or organizational promotion, video is an economical medium for everyone. With Connexion Pointe®, candidates and organizations can leverage the power of online video, while staying focused on the importance of how it fits within talent acquisition strategies. 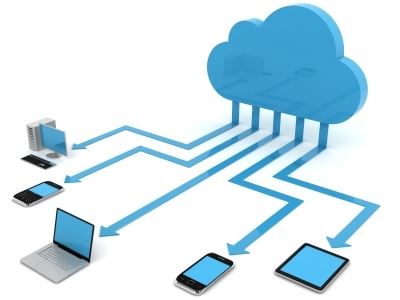 Built on a powerful, secure and convenient cloud-based platform, Connexion Pointe® offers a virtually turn-key, globally accessible, Software as a Service (SaaS) screening solution. There are no websites to build, and no software to download, install or maintain.